Even with the fastest processors, incredible displays and unbelievable features on our Android smartphones, we are still enslaved to the wall socket. While battery performance has increased over the past few years, you still need tricks to conserve the juice, such as the ability to automatically toggle data off when using Wi-Fi. Since you can make phone calls, send and receive text messages and still enjoy high-speed Wi-Fi at the same time, having the mobile data on is a waste of battery. With the help of an innovative app created by developer Nikhil Paranjape, you can automatically toggle data off when using Wi-Fi. 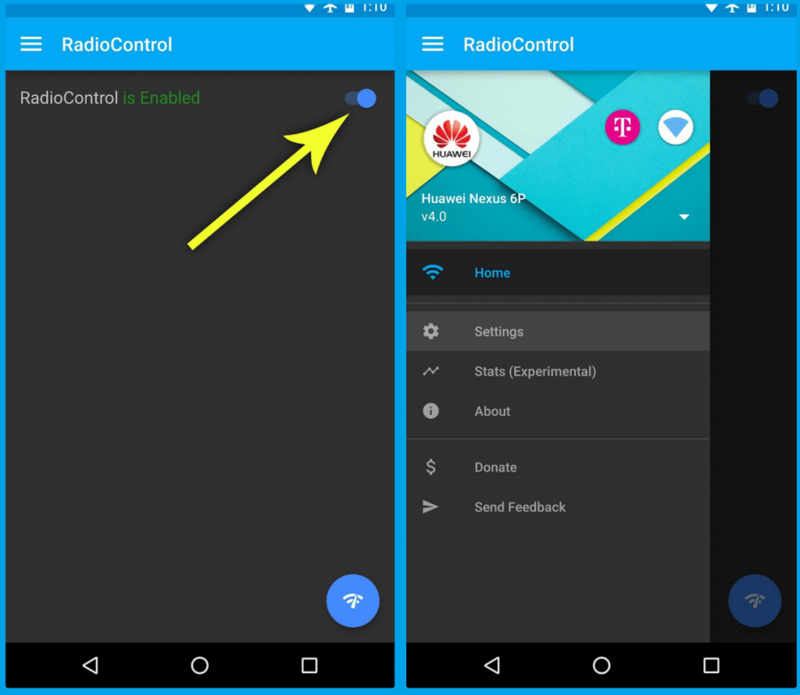 While the RadioControl app that helps you automate mobile data is free to download, it does require root access. If you are aware of the risks and still want to continue, do check out our Android rooting guide to know more. Since the app requires root access to work, the first time you launch the app, you will be greeted with a Superuser request window. Select “Grant” on the pop-up menu and now you will be able to go through the set-up guide to understanding how the RadioControl app works. Press on the toggle switch you see on the right side of RadioControl to enable the app’s functionality. Moreover, you can use the Settings menu to blacklist certain Wi-Fi access points if you don’t want to turn off data in those specific locations. To do so, press the menu icon on the top-left corner and select Settings from the slide-out menu. 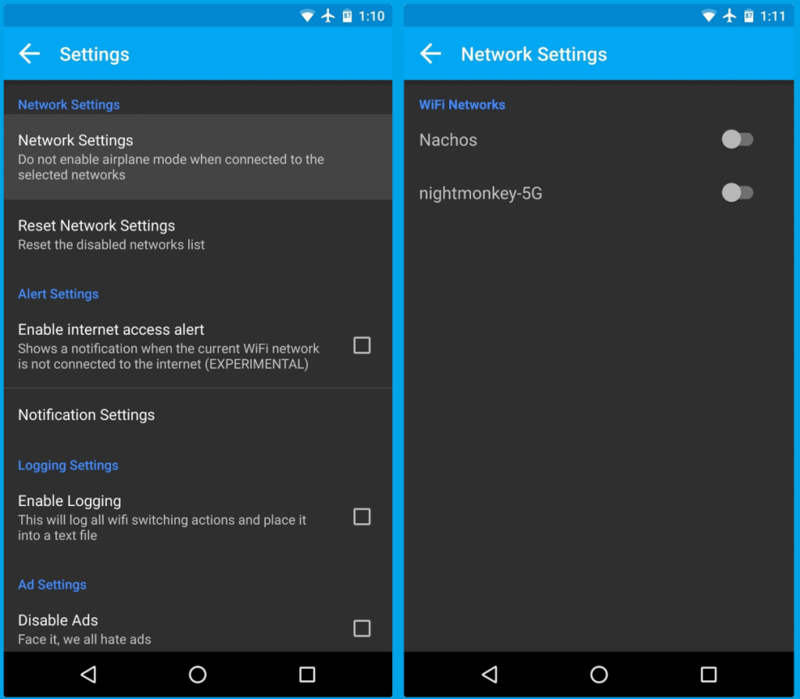 Now go ahead and open Network Settings, which will include a list of all the Wi-Fi access points saved on your Android device. From here on, you can choose to simply toggle the Wi-Fi network that you wish to blacklist and exit the app. 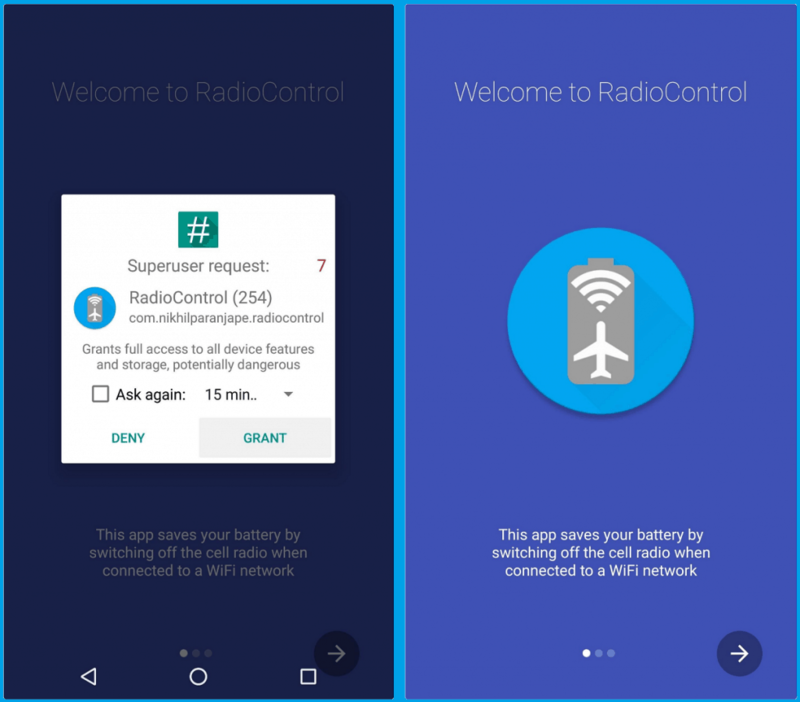 Do share your thoughts on how much battery performance has been affected ever since you installed RadioControl on your Android device.